An interactive tool for energy scenario modelling for Ethiopia by Eva Friedrich and Matthias Berger from ETH Zurich’s Future Cities Lab in Singapore. After almost a decade of resistance to ‘data cities’ advances by many built environment and research leaders, Australia’s first significant public workshop on digital urban modelling systems is being organised by Simulation Australia. Sim AU’s Architecture and Urban Planning Think-Tank will introduce Australian specialists to latest simulation research thrusts at ETH-Zurich’s Future Cities Lab – following the sale of FCL’s ground-breaking procedural modelling software to Californian GIS provider Esri (now evolving it as CityEngine). 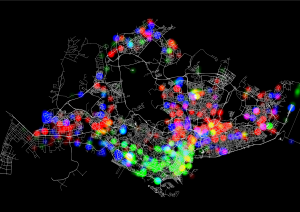 Free-agent modelling of urban form impacts on pedestrians by Eva Friedrich at ETH-Z’s Future Cities Lab in Singapore. The two-day workshop is being held in Adelaide 26-27 August 2014, as part of Sim AU’s SimTect (‘New Dimensions: The Future is Simulation’) 2014 conference, which is primarily focused on aerospace, defence, transport and health simulation solutions. It has been convened by architect Tim Horton, new Registrar of the Architects Registration Board of New South Wales and the Commissioner of Integrated Design in South Australia during the Rann government. Horton also is a Board member of the Australian Urban Research Infrastructure Network at the University of Melbourne (AURIN is a workshop partner), the Co-operative Research Centre for Low Carbon Cities at the University of NSW, and the Australian Design Alliance. 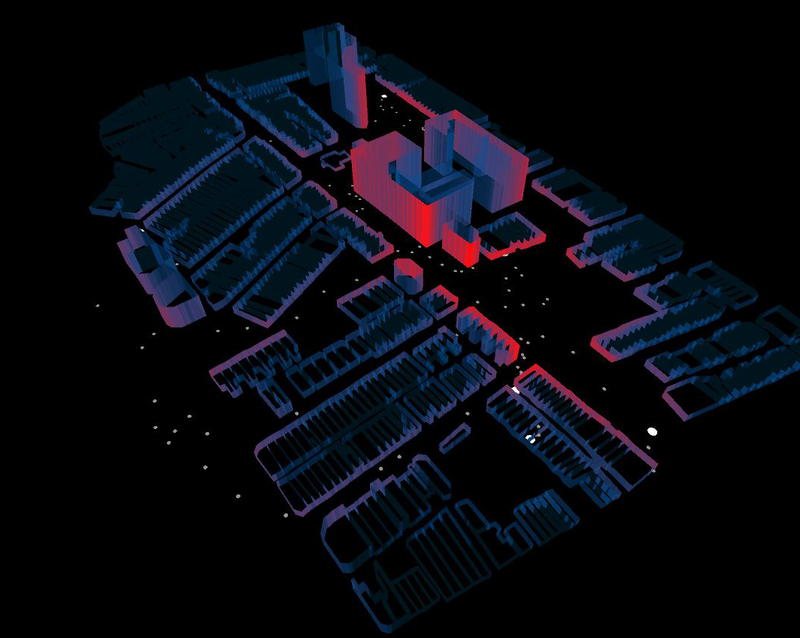 Horton says that AURIN, established with $20 million of Commonwealth funding in 2010 and currently budgeted to mid 2015, has compiled 700 datasets of importance to modelling Australian urban environments. 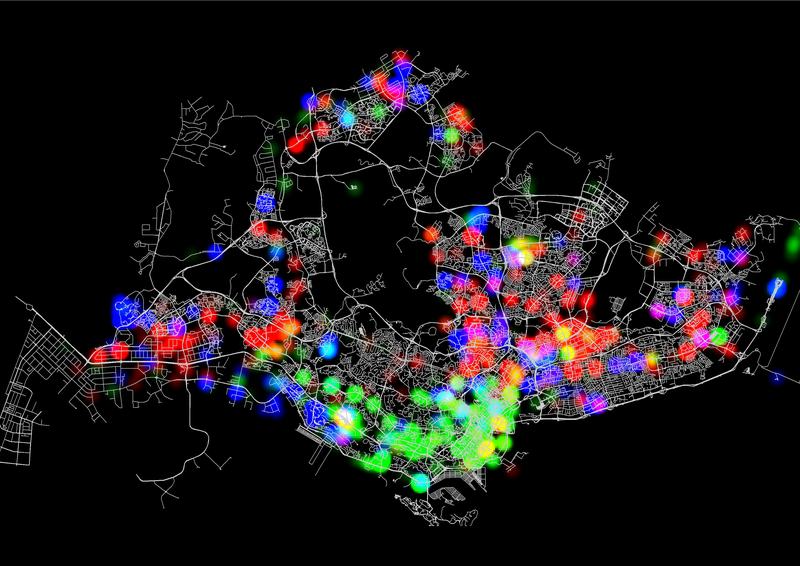 ‘They’ve had researchers from five universities diligently scrubbing and cleaning data … it’s quite a remarkable atlas recording social attitudes, public health and the built environment. 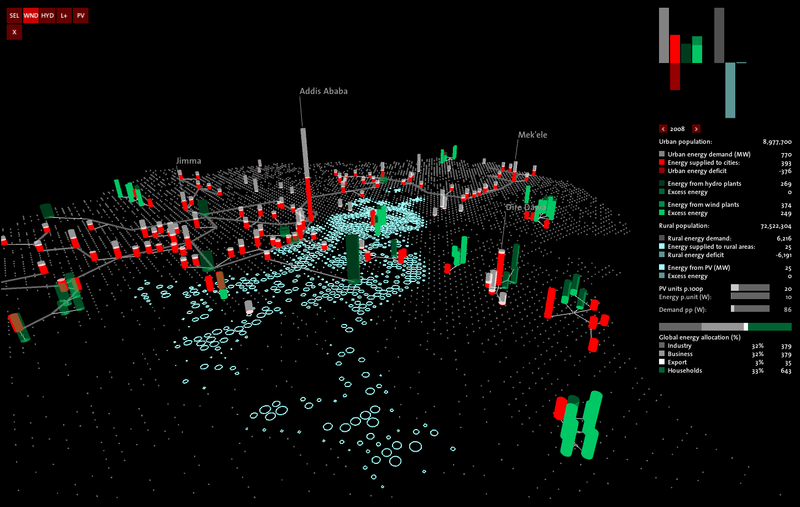 ‘One question we want to showcase at SimTect is: can all this data be put into the three dimensional world? AURIN now has substantial data that it will model next year for challenges at two sites: Logan in Queensland and Tonsley in South Australia – but it has no 3D capability right now. Analysis of Singapore work trips and employment, by Eva Friedrich at ETH-Z’s Future Cities Lab in Singapore. Simulation Australia’s CEO, Alisha Fisher, said the group plans to expand its membership of simulation specialists from different industries and to extend to New Zealand and Asia. Key speakers at the Adelaide think tank are Dr Bernhard Klein, Pieter Fourie, Zeng Wei and Eva Friedrich of ETH Singapore, Associate Professor Chris Pettit of AURIN, with AURIN collaborators Dr Sambit Datta (Curtin), Drs Tuan Ngo and Marcus White (University of Melbourne), Professor Mark Burry (RMIT) and Professor Rocco Zito (Flinders). Three urban and media studies research leaders, Professors Ross Gibson (Canberra), Erik Champion (Curtin) and Bill Randolph (UNSW) also are speaking. SimTect conference organiser Dr Teresa Crea says she has encountered resistance among built environment professionals to supporting simulation potentials for architecture and cities – ‘but obviously urban modelling is growing and this event is just the tip of the iceberg’. 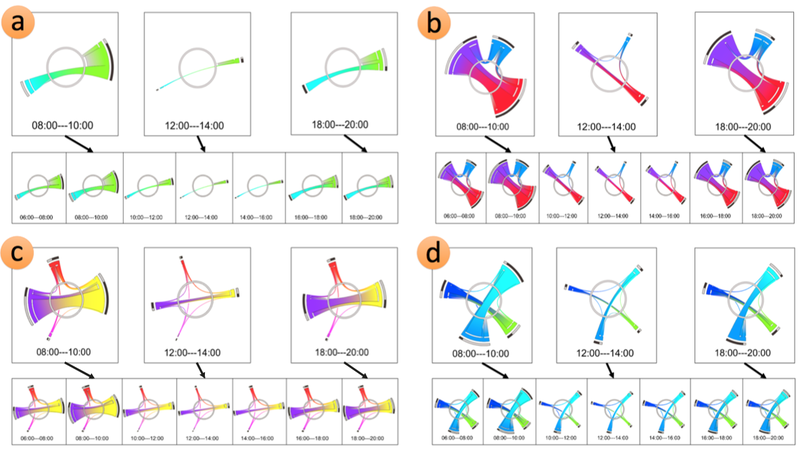 Exploring the temporal changes in the interchange patterns at four different subway stations in the Singapore Metro system, by Zeng Wei from ETH Zurich’s Future Cities Lab in Singapore.